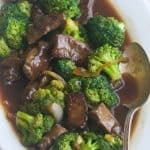 Beef Broccoli Stir Fry- This Restaurant Takeout-Style Beef and Broccoli is Super Tasty and Easy to make! Use any cut of meat and make it extra tender. 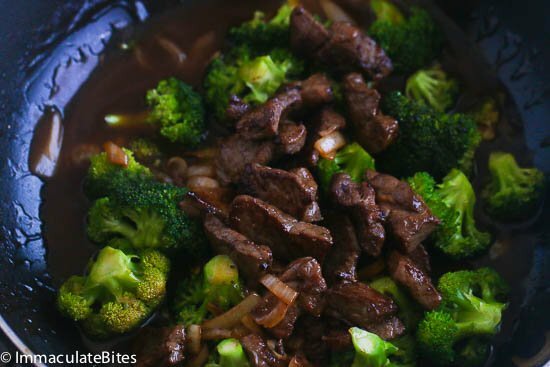 After years of eating stir fried broccoli at Asian fast food places, I knew it was only a matter of time before; I tried making these at home. So I did some research, on beef stir fry. I read perused through so many cook books and websites you would think I was back in College studying for a final. Just to get it just right. Guess what? 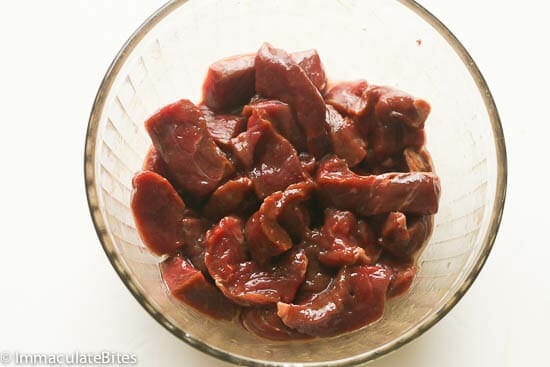 Do you know to make the beef extra tender requires an ingredient that you have already in your pantry. Yep! Something you never use up anyways- baking soda. With the right amount of baking soda mixed in with any meat yields a tender cut. However, to achieve a really velvety steak you have to marinate it over night. Works all the time. 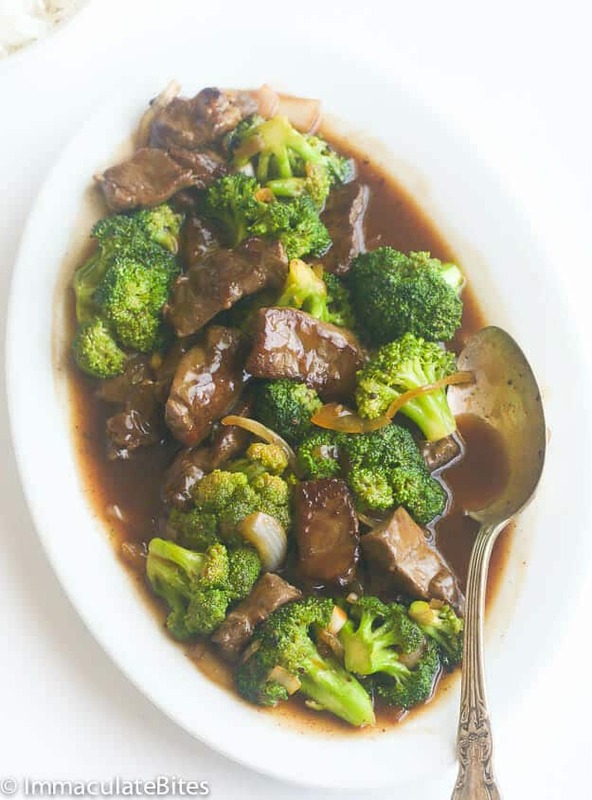 So now that you know you can enjoy a great tasting Asian stir-fry without having to purchase expensive cut of meat or having to make a strip at the fast food place. It heats the spot all the time – All the time! How about an added bonus? You can make the whole thing in less than 20 minutes, after the steak has marinate and do it ‘s magic in the fridge. Then proceed with the stir fry for a very flavorful stir fry. Double the sauce if you like yours saucy. 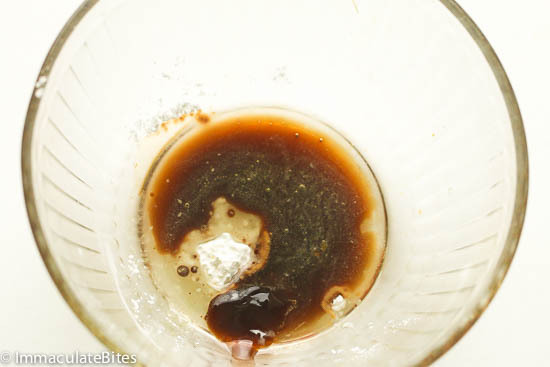 In a small bowl combine, baking soda, cornstarch, soy sauce, oyster sauce and oil. 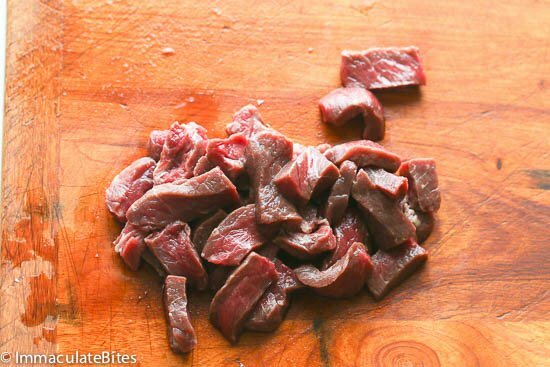 Slice the beef against the grain in little pieces. Then mix with the sauce. Cover and let it rest in the fridge about an hour or preferably overnight for velvety meat. 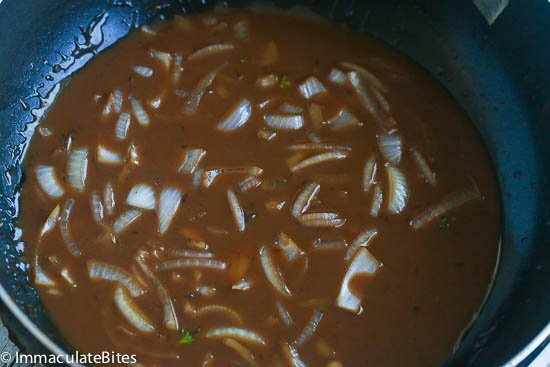 In another bowl combine the soy sauce, sherry,water, chicken stock, oyster sauce, cornstarch, and brown sugar. Set aside. 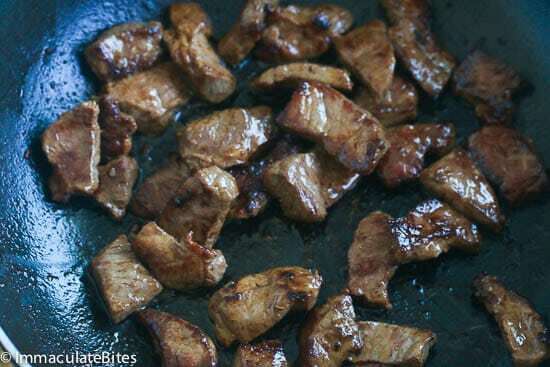 Heat up the Wok with about 1 tablespoon of oil, and then add meat let it rest for about 30 seconds before stirring. 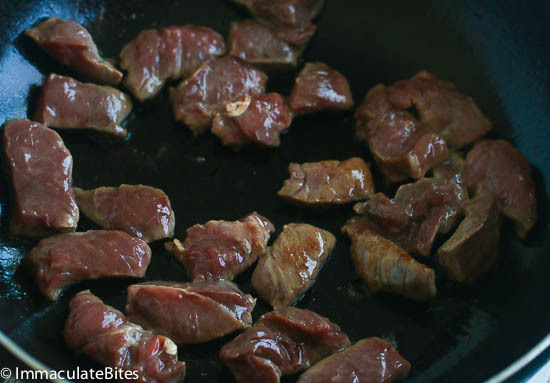 Cook for 2 minutes or until beef reaches desired doneness; remove and keep warm. 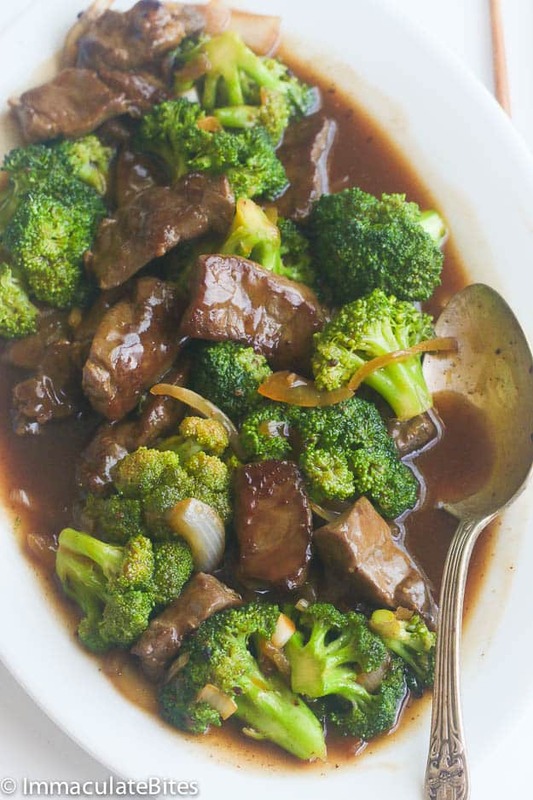 Stir fry the broccoli and onion for two minutes, then add garlic, ginger and continue stirring for another 2 -3 minutes. I made this for my family and it was a hit! Thanks for the great recipe! Just finish making this for my boyfriend and I! And O MG it was amazing. I didn’t use the sherry and corn starch bc I didn’t have any but I used everything else. Talk about amazing! This is my 3rd dish I’ve made from you. HIGH FIVE!! So glad to hear this. Thanks for letting me know. I could eat the whole dadgum dish. Seriously. Nicely done! 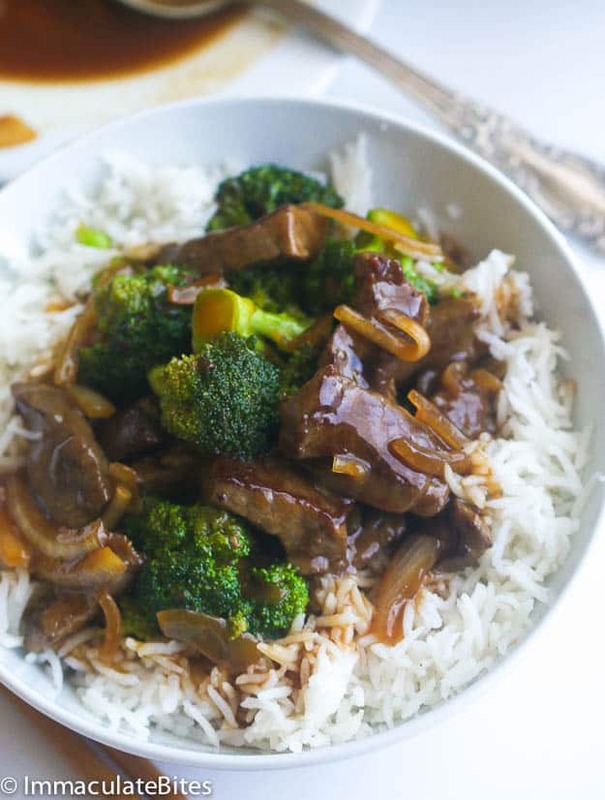 I love stir-fries and this one looks fantastic! Love that sauce!! I don’t eat beef, but my hubby does. Will make it for him. Thanks! I admire your dedication! And it looks like it paid off. Simply divine. 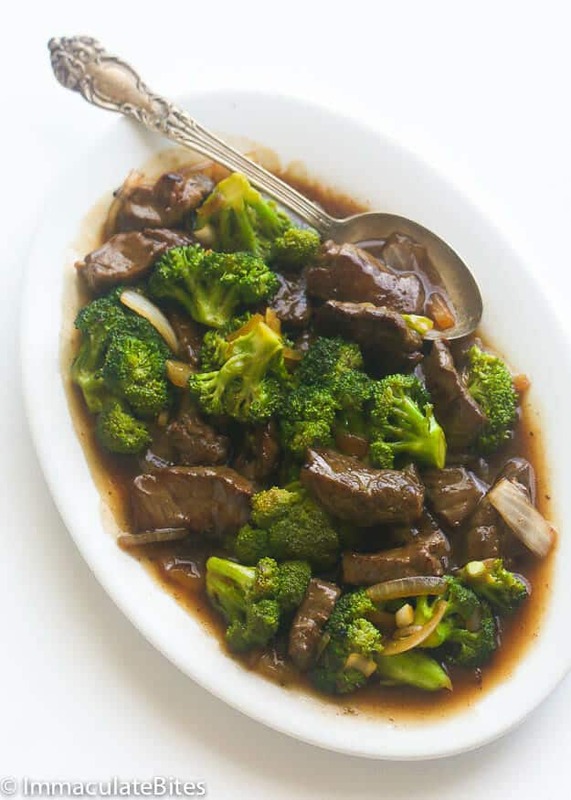 Beef and broccoli is one of my go-to orders as well. Love Broccoli , so healthy and yummy ! 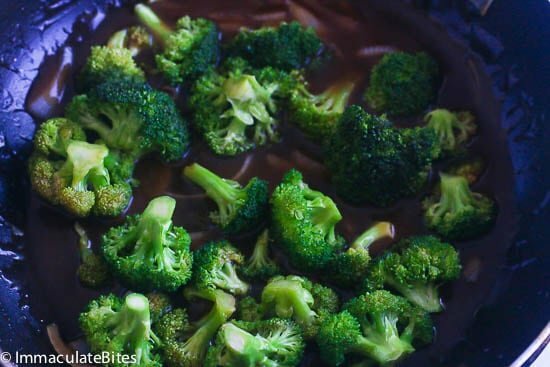 I will eat broccoli with anything…I rarely go a day without it! A beautiful recipe, as usual! Thanks for the feedback, Amalia. Ah Emma, thanks so much for this recipe, I think I am now done going to but stir fry at chinese restaurant since I can now cook it at home. Everyone loved and enjoyed it. No differences from the one I usually buy. The only thing for me is that I really done like it when it is sweet, not sure if I don’t put the brown sugar the flavor and consistency will still remain the same. What do you think? Should I omit the brown sugar entirely or reduce the quantity. I didn’t include the dried sherry because I didn’t have it at home, would that have made a huge difference? Also looking at the instructions, no point at which dried sherry was to be added. Thanks a lot. Kelsey , I think you should start by reducing the quantity of sugar by half . I feel it does help balance the flavors. However, it is all about your taste preference. So feel free to take it out. Sherry is completely optional. 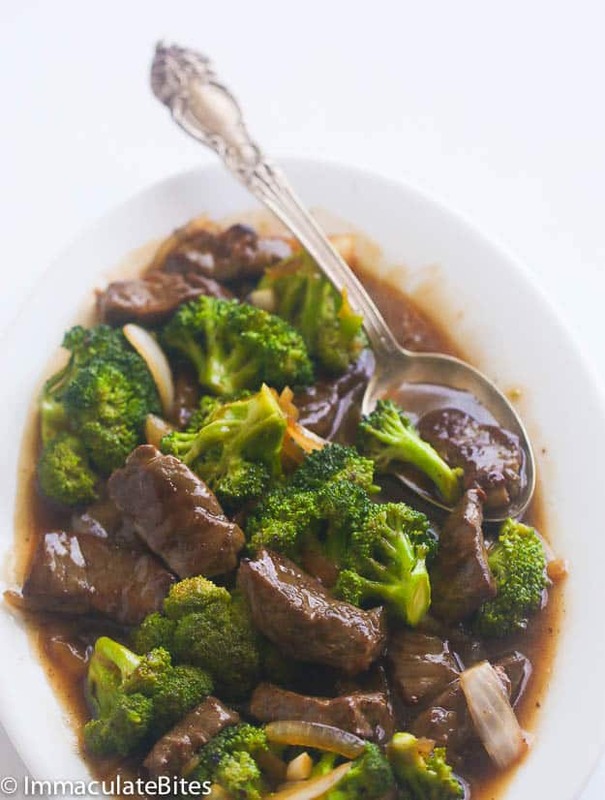 You can completely eliminate it from this stir fry. I remember the first time, I successfully made stir fry at home . I was elated ! I am glad we share the same sentiments. Thank you. You sure can. But you do not need to tenderize it.